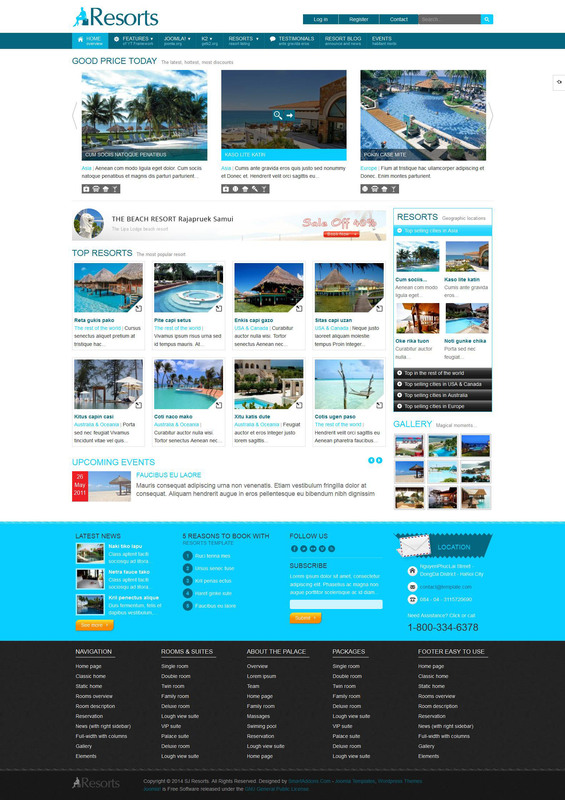 SJ Resorts - stylish design with adaptive template for Joomla 2.5 developers SmartAddons. In this template integrated catalog component SobiPro, which allows you to organize online and detailed catalog of any functional products. Template design is made in bright colors, this 5 built-in color themes and convenient control panel template. Template settings allow you to define the color of links, the size of modular products, select the type of fonts, background images, and more. The composition includes a template expansion club: SJ Gallery Pro, SJ Slider and SJ Entries Grid. Support for K2 component adds a number of new features in the publication and posting materials on the site.